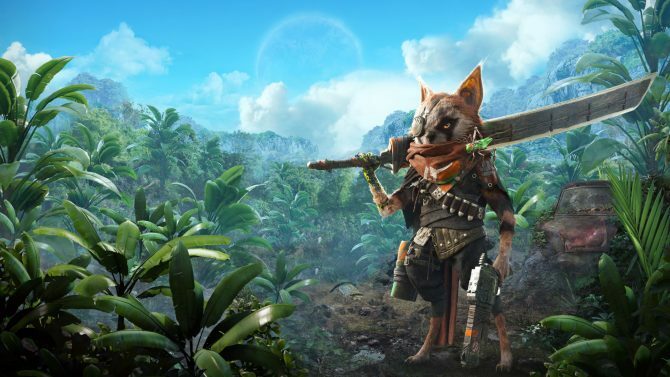 THQ Nordic's newly announced BioMutant shows off combat, choices, character customization, and more in first lengthy, raw look at the game. 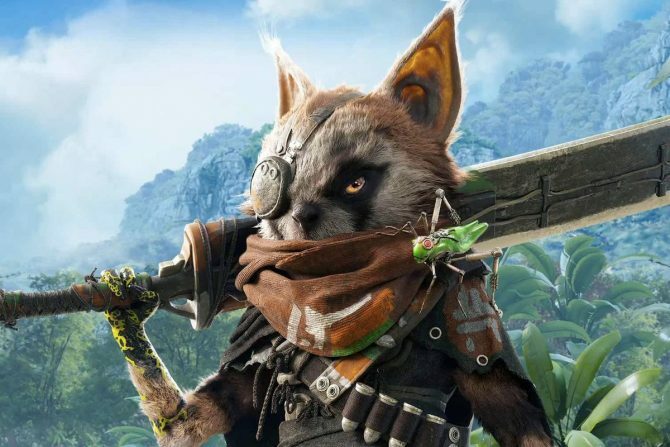 Two days ago, publisher THQ Nordic and newly formed developer Experiment 101 — a team that consists of ex Just Cause and Mad Max developers — announced a brand-new IP dubbed BioMutant, a post-apocalpytic kung-fu action RPG where you play as a deadly anthropomorphic raccoon of sorts. It was an interesting premise, but as of yesterday only brief gameplay and CGI trailers had been released, so it was hard to gauge whether if the game was anything more than an interesting idea. But that was yesterday. Today, over 11 minutes of Alpha gameplay has surfaced — courtesy of IGN — showing off a better look at the game. The new footage begins by showing of the game’s create-a-character options. You can choose your gender, your size, fur type, your fur style, and your mane and detail color. After this, the video transitions into traditional gameplay footage that showcases extensively the game’s combat, a variety of enemies like a giant meat-eating Lupa-Lupin, looting, weapon customization, and more. There also appears to choices in the game, within and outside of dialogue. In this system there is the option to respond and take a more evil path, or do the righteous thing. All of this boils into a Yin and Yang type meter that tracks your level of goodness vs. evilness. 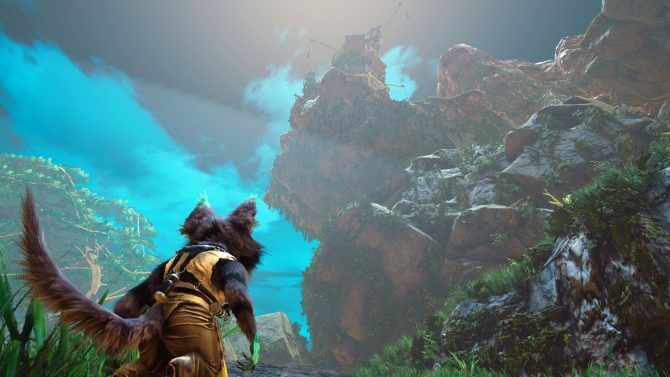 BioMutant is in development for PS4, Xbox One, and PC. It retail at $59.99 USD. As of right now, a release date beyond “2018” hasn’t been provided. 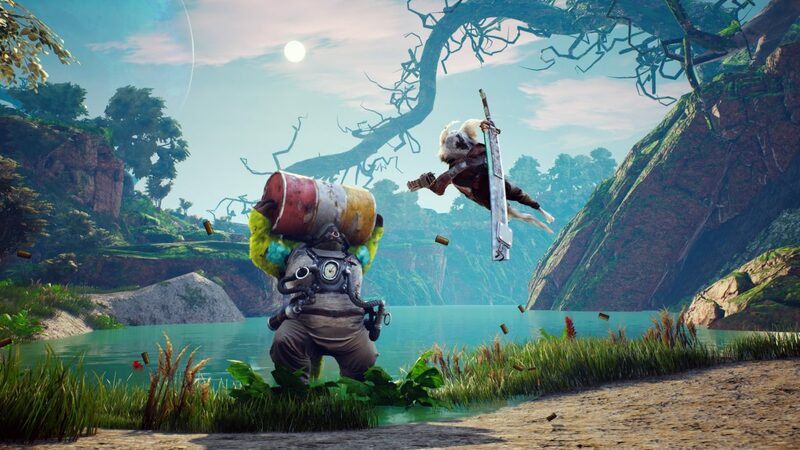 From its colorful aesthetic and mutated creatures, Biomutant blends action-RPG gameplay with a weird world that I can't wait to play more of.